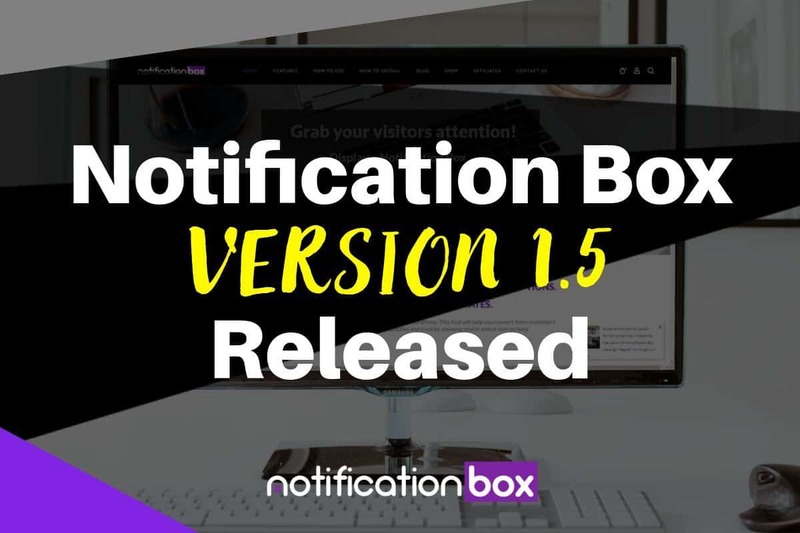 Menu location on the main side panel – we decided the plugin deserves it’s own spot on the menu list so we moved it from Settings and now you will find Notification Box on the list. You will find the settings page and also any future Extensions will be listed there too. There is also a link to Buy Extensions. 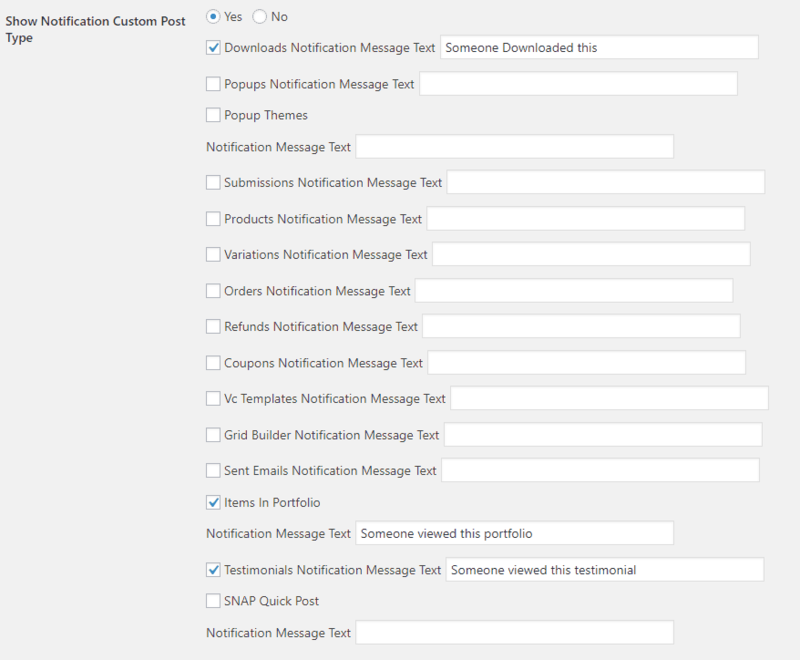 Display notification messages based on custom post types – some of our customers wanted to display custom post types such as Deals, Real Estate Listing, Downloads and many others and now this option is available. 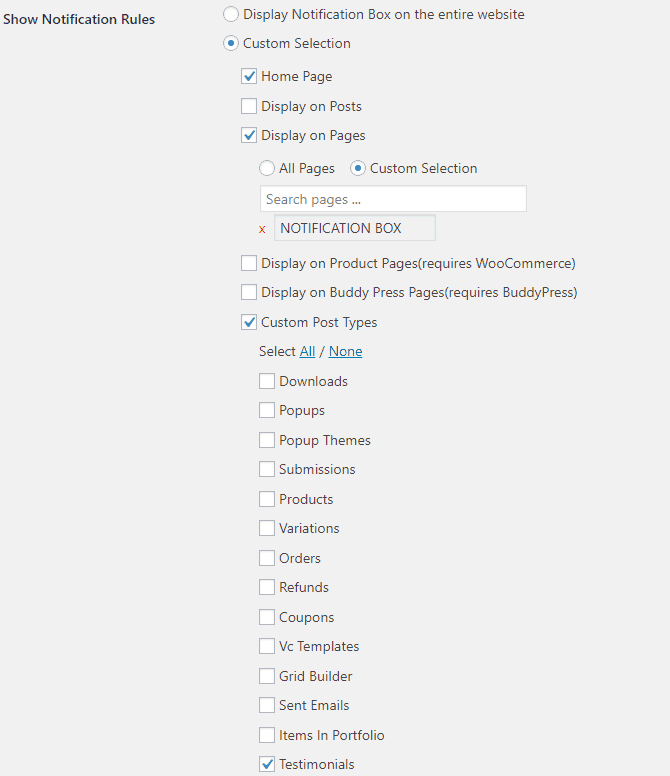 Our plugin will scan to see what custom post types have been installed on your WordPress website and will list them for you to select. You can then add your own custom message for that particular post type. Display notification messages based on rules – originally, the Notification Box would be displayed on all pages of the website. With rules, you are now basically in control so you get to choose where you want to display the Notification Box. Hide show Time within the Notification Box – you now have the option to remove the time that says x hours ago. Some of you didn’t like this. Ability to export, import, clear settings – we’ve added the feature to be able to export, import and clear settings making, it easier to manage the task of managing the Notification Box. Ability to clear logs – previously if you wanted to reset the log you would need to remove the plugin and reinstall it. You no longer need to do that and you simply just click on the clear logs to empty the notification logs. 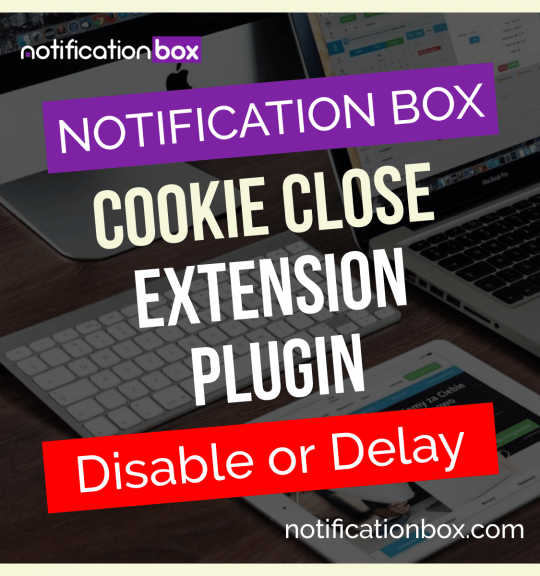 Supports additional Extension Plugins – click here to see a list – we realised the Notification Box is able to have so many other features and functionalities added to it, but some may not like them hence the reason why we created Extensions plugins. 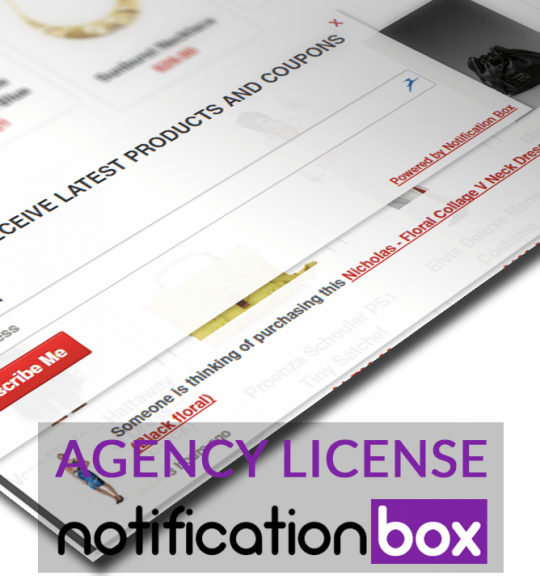 As we expand the Extension portfolio, you will be able to pick and choose what you really need on your website. Minor Bugs – we also fixed a few minor bugs and overall the plugin is stable on the latest version of WordPress. For those of you who previously purchased the plugin, you can now download the latest version and install version 1.5 (use the link in the invoice or login to your account) – keep in mind that once you remove the plugin all your settings will be removed. So just make sure you write the settings down before you uninstall and remove the plugin. 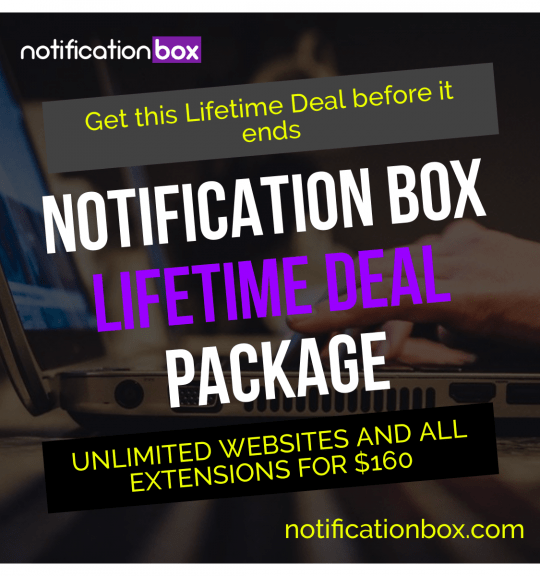 Unlike many other Social Proof plugins, we specifically designed and created this for WordPress and we only charge a once off fee compared to the monthly subscriptions. You can consider this as a permanent Lifetime Deal.